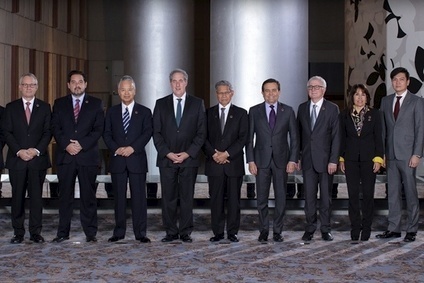 As debate intensifies in the US on the passage of legislation seen as key to paving the way for a fast-track vote on the long-awaited Trans-Pacific Partnership (TPP), analysts are also weighing up the implications. The approval by the US Senate last month of fast-track procedures to negotiate trade agreements means talks on the Trans-Pacific Partnership (TPP) have moved another step further forward. The fast track measure – also known as Trade Promotion Authority, or TPA – sets out a process for a "yes" or "no" Congressional vote on trade deals, which means they will either be rejected or ratified without getting bogged down by amendments. And it is seen as key to the passage of the long-debated TPP. But while strong opposition to TPA is expected from Democrats and some Republicans as the debate moves forward to the House of Representatives - meaning the bill’s final passage is by no means certain - analysts say their research already shows signs that supply chains are beginning to shift ahead of TPP. Analysts at FBR Capital Markets are also optimistic the political climate in Washington is "favourable" for advancing the fast-track trade legislation, suggesting it could be passed by the Congressional recess in August. In turn, they add, this would allow the Obama Administration to finalise the TPP pact by early next year, reducing or eliminating trade duties between the 12 negotiating countries: the US, Australia, Brunei, Canada, Chile, Japan, Malaysia, Mexico, New Zealand, Peru, Singapore, and Vietnam. Between them they account for 40% of world GDP and around one-third of world trade. Of particular interest is Vietnam, which is the second-largest exporter of garments to the US after China. Malaysia is also a small, but increasingly important, apparel sourcing destination as the migration to lower-cost production continues. While the content of the final agreements remains unclear, including the timing of potential duty phase-outs and exclusions, the analysts suggest TPP implementation in 2018 is the most likely scenario – but that mid-2017 also possible. The fact that 2016 is an election year could also complicate matters, and perhaps push out the time line for implementation. This is because Republicans running for President may move away from trade deals to a more populist/protectionist position that could, in turn "start a cascade of Republicans lining up against TPP." On top of this, public sentiment could change quickly as details of the final agreement are released. Other potential pitfalls include difficult discussions with Japan on opening up markets for autos, auto parts and agricultural goods; and concerns over currency manipulation of some TPP partners, again most notably Japan. Separately, concerns have also surfaced around labour issues in Malaysia’s export sector. A provision in the TPA bill passed by the Senate last month would prohibit countries on the so-called Tier 3 list of the worst offenders for human trafficking – which includes TPP participant Malaysia – from being part of major trade deals with the US. However, lawmakers are reportedly working to introduce a waiver for Tier 3 countries taking "concrete" steps towards reducing human trafficking and forced labour. Most discussion on the benefits of TPP for apparel brands and retailers is focused on reduced duties on US imports – and the opportunity to significantly change the economics of clothing manufacturing and sourcing. Potentially, the TPP could enable clothing companies in Asia – notably Vietnam – to export clothing and textiles to the US duty free. The final pact could also include a provision allowing yarn and fabric made anywhere in the TPP region to be sent to other countries, made into the final goods, and still gain TPP preferential access to the US market. However, a "yarn forward" rule that would require all steps of the clothing’s manufacture be done in the TPP region to gain access is believed to be more likely, in line with the precedent set in past trade agreements. Here duty-free market access has typically been limited to products made with yarn/fabric that were sourced in countries included in the trade agreement. Even so, supply chains are already adjusting ahead of TPP, according to the team at FBR – with surveys suggesting 72% of companies would shift manufacturing to TPP countries if the deal was implemented. Vietnam and Malaysia are the main beneficiaries of this sourcing shift, although most companies making the move have a pre-existing Asian manufacturing footprint. Those players with smaller scale or without a manufacturing presence in the region are likely awaiting progress and further details on TPP. Footwear is also likely to have "quicker, higher benefits versus apparel," with a faster phase-in period for tariff/regulatory changes and simpler rules of origin for raw materials. The analysts see "a few primary uncertainties that could temper benefits or affect timing" of the TPP, including a possible duty phase-out over five years. There are also lingering question marks over the "yarn forward" rules and the fact that many companies source fabric from China, which could create an exemption to favourable tariffs. Vietnam’s apparel sector currently buys most of its yarns and fabrics from China and other Asian suppliers such as South Korea and Taiwan, though it is attempting to ramp up fibre and fabric production. 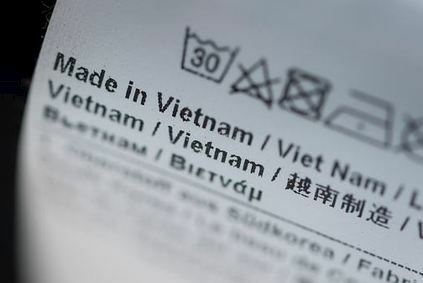 Another uncertainty is whether third-party manufacturers will appropriate a portion of the tariff reduction savings, the analysts say, noting: "There is currently significant slack in apparel manufacturing demand, which likely reduces the ability for factories to drive rate increases, though an increase in demand for Vietnamese manufacturing could increase pricing power." A longer-term concern is whether increased demand for Vietnam manufacturing will drive significantly higher wage rates and labour costs over the next few years, potentially offsetting some of the benefit from lower tariff/duty rates. While China still represents the lion’s share of apparel/footwear imports into the US, Vietnam’s shipments have grown faster since 2005, increasing at a 16% compound annual growth rate (CAGR) versus China at 5%. So it is not unrealistic to expect "outsized growth to continue in Vietnam as it remains a cheaper sourcing destination and even more so if TPP passes." As far as beneficiaries of the TPP are concerned, apparel manufacturers are "poised to benefit the most," the analysts note, adding that specialty retail "should also benefit somewhat." Estimating the average duty rates of 20% and 23% for apparel and footwear, respectively, imported into the US from Vietnam, they calculate a potential benefit of $0.13 to earnings per share (EPS) and 50 bps to gross margin from TPP-related tariff reduction or elimination. If duties are phased out over say, five years, the annual average EPS benefit would fall to $0.03 per year during the period. As well as gross margin gains, there is also the potential reduction in regulatory delays and headaches that companies encounter when directly sourcing merchandise from overseas. The gains are "highly skewed to branded apparel/athletics and children’s categories" as their supply chains are "most exposed" to Vietnam and Malaysia. While teen, young adult and missy/contemporary retailers are least exposed to Vietnam and Malaysia, their sourcing penetration in Southeast Asia is likely to accelerate with the passage of TPP. On top of a potential margin benefit on North American sales, there are other possible gains from the TPP too, including accelerated international expansion as foreign markets open up in response to the pact’s regulatory and duty reductions. Japan, Australia, New Zealand, and Singapore all offer high value consumer markets, while Vietnam and Malaysia also have a large and growing young population. But savvy brands and retailers could also take advantage of lower import duties to increase sales in key Asia-Pacific and South American markets by lowering prices and increasing volume, or choosing to maintain their pricing for a margin benefit.